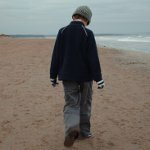 April 25 is Parental Alienation Awareness Day (PAAD) in the USA, Canada and Bermuda. This holiday was created as a part of global awareness campaign about parental alienation. Parental alienation is a syndrome when a child feels unjustified hatred or strong dislike to one of the parents. This makes the access by the rejected parent difficult and even impossible. Parental alienation generally occurs due to divorce or separation, when relations with one of the parent may be influenced by the negative comments by the other parent and grandparents. At the same time parental alienation couldn't be applied in cases of child abuse, when this syndrome is regarded as the mechanism of self-protection. Anyway, parental alienation is controversial in mental health and legal professions. The idea of PAAD belongs to Sarvy Emo from Canada. Emo introduced the observance of the day in the late 2005 with the original date on March 28. But this date was changed to April 25 for marketing reasons and was put into practice in 2006.